Getting the right MUSIC TEACHING SOFTWARE will firstly show you HOW to practice music, as well as what to practice. And I'm flat-out totally impressed with how SMARTMUSIC handles both the "how" and the "what". WYNTON MARSALIS is a spokesperson for this software, which is endorsement enough for anyone. Hey, this IS Wynton Marsalis, let's watch him play! Did you notice that, unlike a lot of music teaching software out there, SMARTMUSIC sounds really good! This is an obvious incentive to practice and play. Firstly: being able to recognize what note is being played or sung, and call it by its' name [actually its' letter: a-b-c-d, or do-re-me, etc. ], and Secondly, being able to recognize how far 'away' one note is from another note. This first skill is developed by the activity we call "ear training". For many, the ultimate goal of ear training is to acheive what is known as "perfect pitch" or "absolute pitch"; The ability to immediately recognize what note you are hearing and call it, without reference to an instrument, etc. The second ability, [which you will see is also addressed in ear training] - recognizing how "far away" one note is from another - is referred to as "relative pitch". "Relative pitch" is actually much easier to achieve for most people, in fact you probably already have it to a large degree. You use it every time an unfamiliar song comes on and you "hear" when the end is approaching, Why do you "know" it's the end? Well, there are a lot of technical terms to describe this, but for now we can say that you are able to recognize innately that the song came back around to the same pitch it started from, and it ended there. That is actually "relative pitch perception" in action. Now also, when we enter the arena of: "how far 'away' is one note from another?" we have another technical term - "an INTERVAL" and, we are getting into MUSIC THEORY. MUSIC THEORY is [my definition]: "What name is given to a group of notes played together?" [known as a chord], and; "What name is given to a group of notes played one after the other?" [known as a scale] and "How do all these things work together to produce music?" You will see that come up very early on in these online music theory games. Once you have a good recognition of the notes individually, you will be called upon to recognize them in combination: INTERVALS, CHORDS and SCALES. A good or great musician knows these well, of course. ‎ "My fingers actually DO what my brain tells them to do, WITHOUT getting confused." And - I'd love to see YOUR testimonial on this list! 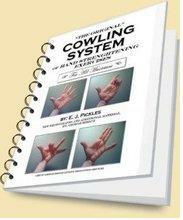 YOU can truly master your instrument, IF you diligently do "THE ORIGINAL" COWLING SYSTEM of Hand Strengthening Exercises for Musicians.